← What Happens If You Crash A Friend’s Car? The Department of Transport published the Reported Road Casualties in Great Britain: 2017 Annual Report some weeks ago a copy of which can be seen on the gov.uk website. It makes for interesting reading but there is one section that we wanted to draw your attention to and that relates to “Younger Causalities (aged 17 to 24)”. The report refers to the fact that there was a drop in the number of deaths due to reported road traffic accidents in the 17 to 24 year old age group. In 2016, there were 299 deaths but in 2017 this had dropped to 279. The number of young fatalities who were killed when occupants of cars dropped from 179 in 2016 to 166 in 2017. It should be noted that there was a drop in population numbers in this age group so this may have had an impact on the fall in fatalities. However, it is also believed that telematics cover has had a positive impact in this reduction as there has been a significant rise in people taking out black box cover in recent years. This type of cover takes into account some additional risk factors when deciding how much someone should pay for their cover such as when and where they drive the vehicle, the speed they travel at and the braking of the car. This sort of data is picked up by a black box often installed in the dashboard area of a car. 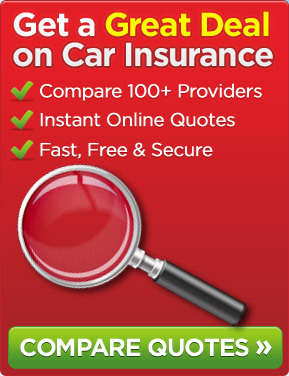 As you may well be aware, younger motorists tend to pay more for their car insurance than the more experienced driver which is understandable but many of those young motorists taking out telematics cover may find that the cost of their cover is significantly lower than what he or she would be charged for a standard motor insurance policy. There are an increasing number of insurance companies offering such cover so it is worth shopping around to try to find a competitive deal. If you would like a quote for car insurance whether you are a young driver or a mature driver then why not get in touch with us today and we will do all that we can to assist. We look forward to hearing from you. This entry was posted in News and tagged Black Box Car Insurance, car insurance, Telematics Car Insurance, young drivers. Bookmark the permalink.